Plays just like the board game, and is easy to learn how to use. However, . . . 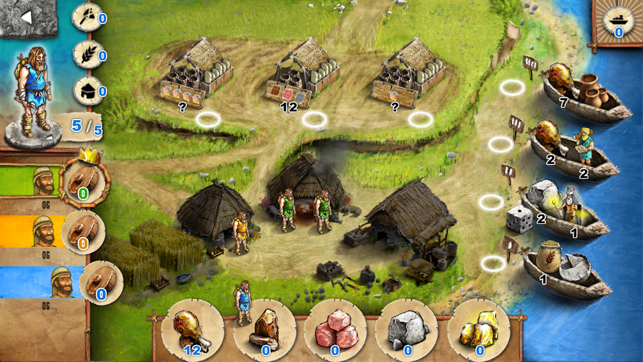 The online multiplayer setup is poorly organized and managed, particularly with the Stone Age league. You cannot choose your opponent, and you cannot select a time frame for the game you want to play. So a person who wants to play a relatively quick game can be matched against those who want to play a game that lasts for days or weeks. But the biggest problem with the league is that there are glitches. Sometimes, you are unable to play your turns, games are mistakenly resigned, and your player rating gets messed up. 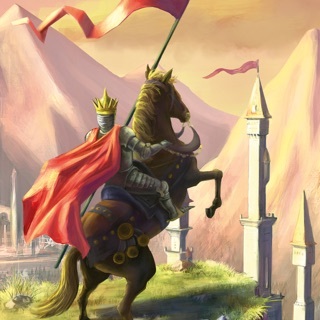 I recently lost a game in which I was unable to play my turn for several days, and my rating was dropped way more than it should have been. So after gradually climbing to the top of the leader board, I was bumped way down for no reason. So needless to say, I am done with their "league." The other annoying thing is that Campfire Creations never responds to emails, so when problems arise, they don't do anything about it. So if you want to play against the computer or friends, or if you do not care about player ratings, the app is ok. But if you want a better experience, get either Agricola or Lords of Waterdeep. Playdek is a far superior company, and these are better board games anyway. I love this game. I play the table-top version all the time. It's got a quick way of getting through, rather than the hour+ it takes normally. For 5 stars, I would need to see a few changes. First, the app rules don't match the normal rules. 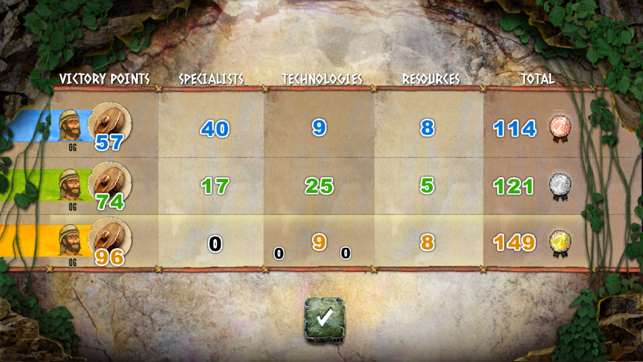 For instance, you don't count resources for points at the end. This makes a huge difference in how you manage your resources throughout the game! Secondly, in this version, you can't add additional workers to collect resources after everyone has played, even if there are available slots. 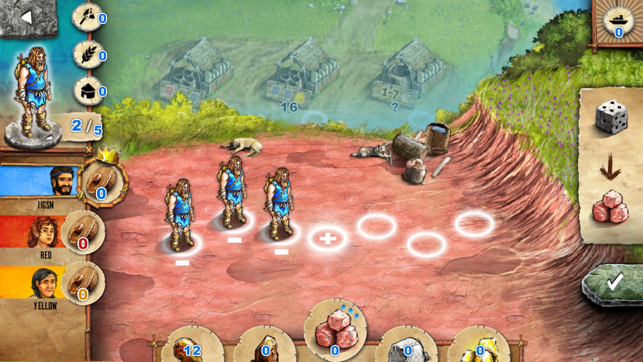 Once you've placed workers on wood, you can't add any more later, even if there are available slots and everyone else has played. Frustrating. The AI plays really, really fast. I know they do this to keep the play moving. I wish there was a option to speed up/slow down the AI. This would give me opportunity to strategize and watch, rather than blow through a game in 10 minutes. Big potential here, but a few changes need to be made. 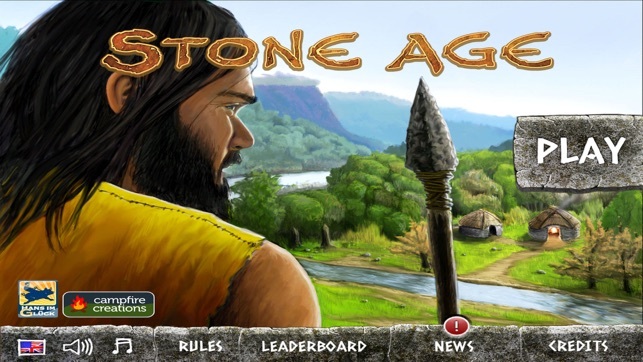 Stone Age is on my list of board games I want to get, but I had never played it. So I bought this app to see if I liked the game. It's a fun game, like Agricola but simpler. 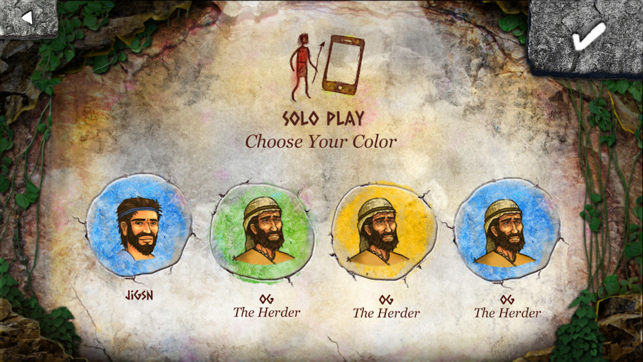 The app is good (with one major exception-wait for it...) and I plan to buy the board game. The one major exception is that the online multiplayer features do not work. You can play against multiple computer players, but you can't play online against other real people. From what I read, I think there actually used to be an online league. It appears that Campfire Creations may actually be defunct, based on the state of their website, Facebook page and Twitter feed. So the app is good and the game is fun, but don't expect any online multiplayer features.